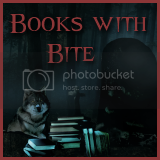 The Eclectic Bookshelf: Discussion Post ~ How do you conquer your TBR pile? Discussion Post ~ How do you conquer your TBR pile? This morning I was checking out some of the blogs that I follow and I came across this post posted by the ladies over at Everything To Do With Books. Which led me to find the inspiration for the post over at Down The Rabbit Hole. Which led me to think about my TBR mountain and how I'm failing on my fail boat to conquer it. So now I'm asking you, what steps have you implemented to conquer you TBR pile/mountain? I will spare you all the "gory" details about my TBR mountain. Let's just say that it's REALLY scary almost to the point of being beyond scary and I am looking for a way to work towards conquering that particular mountain. So fellow book bloggers I am asking for your help in conquering my TBR mountain. An overflowing bookcase and stacks of books all over the place say I NEED to conquer my mountain. So Thank You in advance for any suggestions, tips, or ideas that might come from this post. I really appreciate it a lot. Discussion Post ~ Note taking for reviews? Coming Soon! A Bloggy Pal!